And clad with new-born mightiness around." 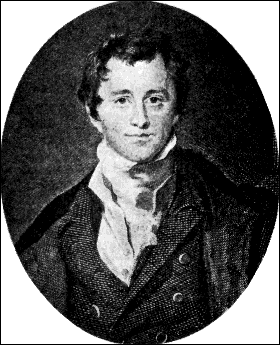 Sir Humphry Davy is better known as a chemist than a poet; but he shared the Nitrous Oxide Experience with his poetical friends Robert Southey and Samuel Taylor Coleridge while working at Thomas Beddoes' short-lived Pneumatic Institution. Davy also took nitrous oxide to relieve toothache: "The power of the immediate operation of the gas in removing intense physical pain, I had a very good opportunity of ascertaining...In cutting the unlucky teeth called dentes sapientiae, I experienced an extensive inflammation of the gums, accompa­nied with great pain....On the day when the inflammation was most troublesome, I breathed three large doses of nitrous oxide. The pain always diminished after the first three or four inspirations; the thrilling came on as usual...."